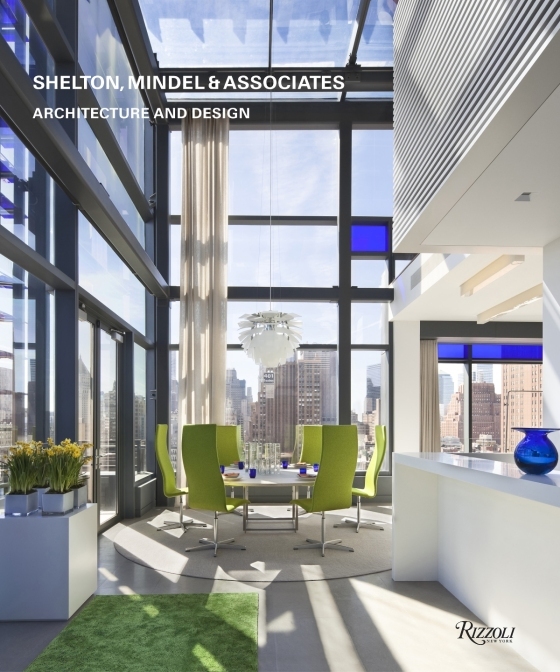 Brief: In a sleek modernist tower adjacent to Manhattan’s Hudson River, create a one-bedroom residence without compromising the architectural integrity of this iconoclastic building. 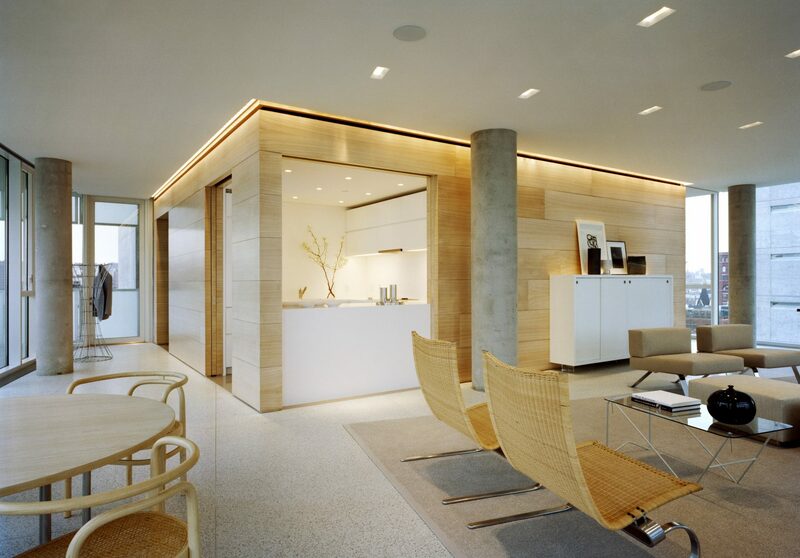 Solution: Two geometries take precedent in this building, as Manhattan’s grid meets the angled geometry of the Hudson River, in this light filled space. 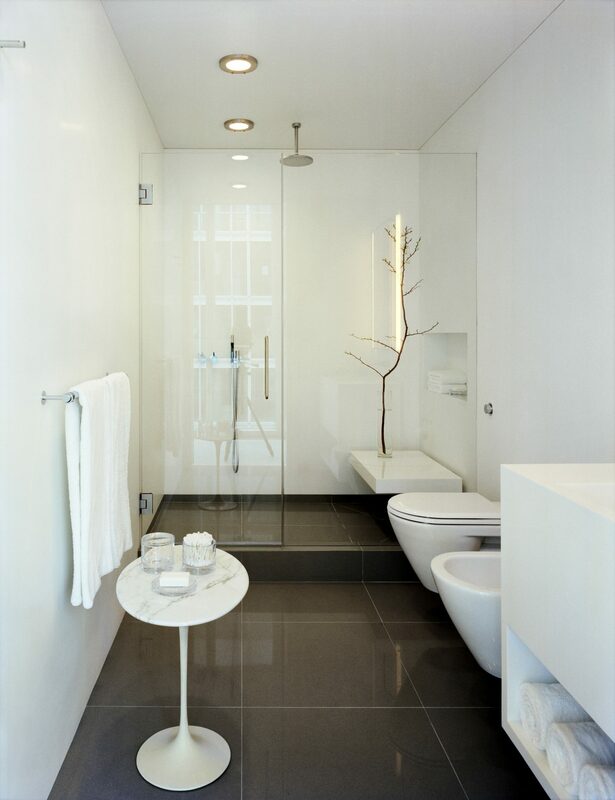 The city grid is expressed in the form of the building’s core, which is continued in the space to enclose the kitchen, bathrooms, bedroom and storage. 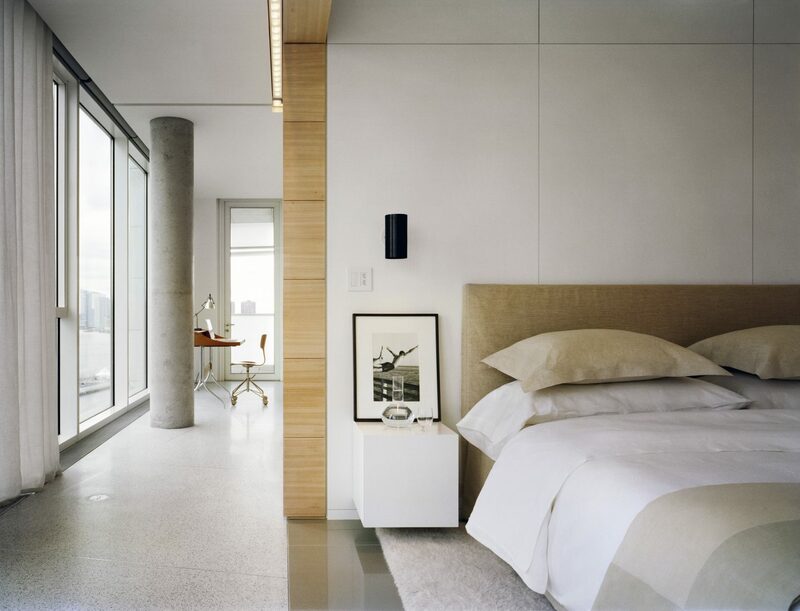 The core provides a sense or repose, privacy, enclosure and relief from the three walls of floor-to-ceiling glass. 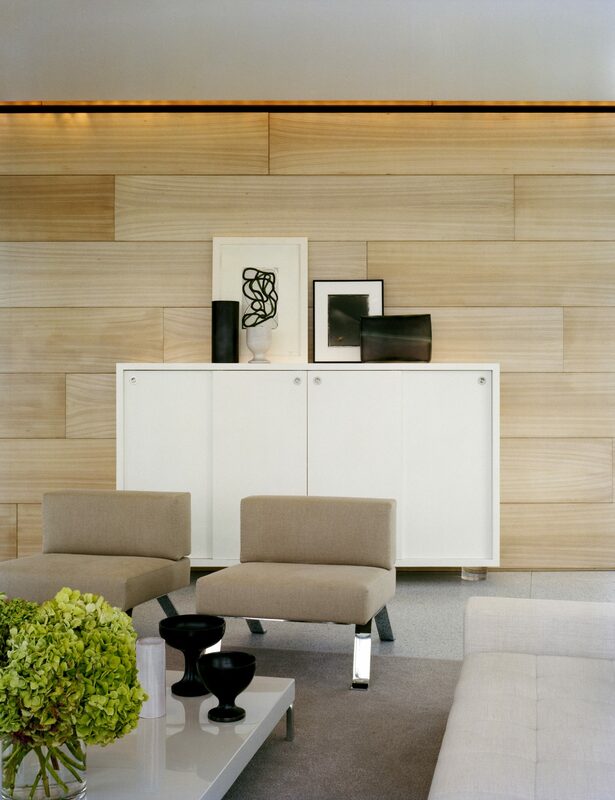 The horizontal wood plank clad core appears to float above the city and river. 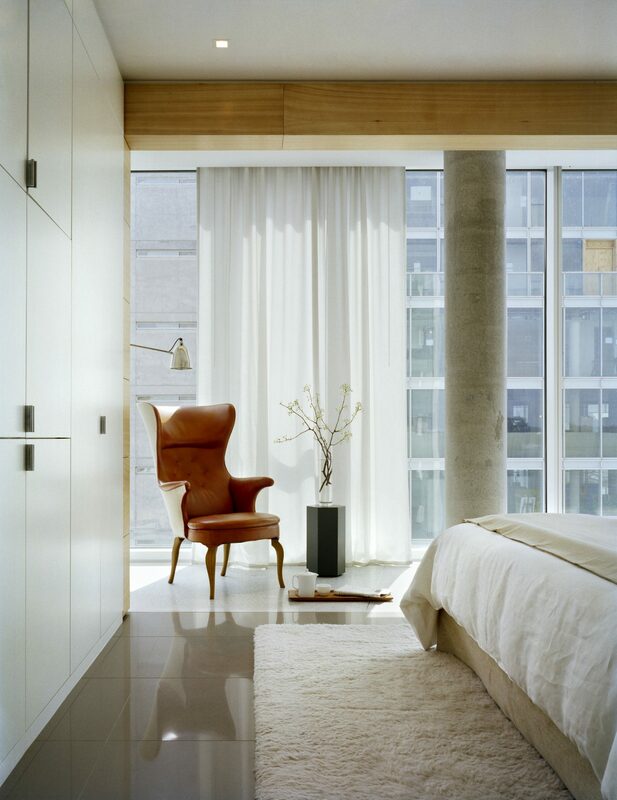 The warmth of the bleached elm veneer helps absorb much of the reflected light and acts as a counterpoint to the concrete, metal and glass. 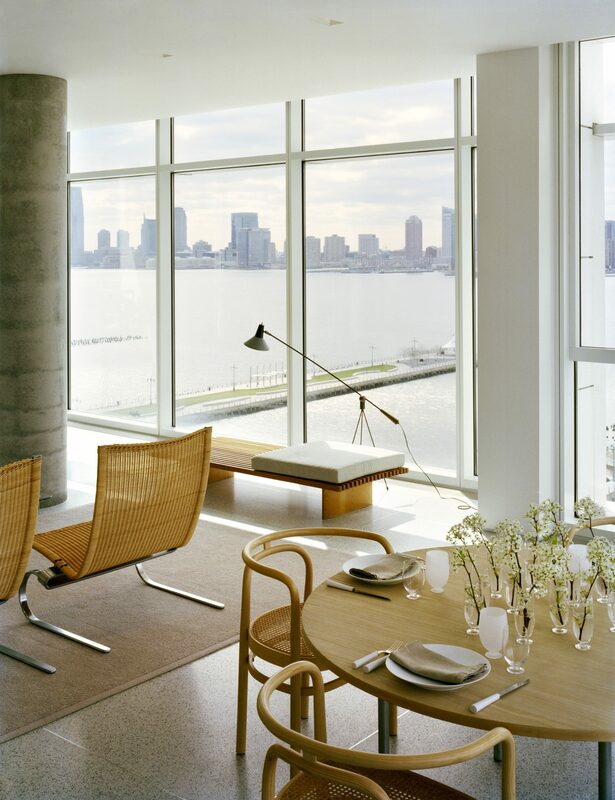 The terrazzo floor, lighting scheme and furniture layout respond to the angle of the river and the glass curtain wall. 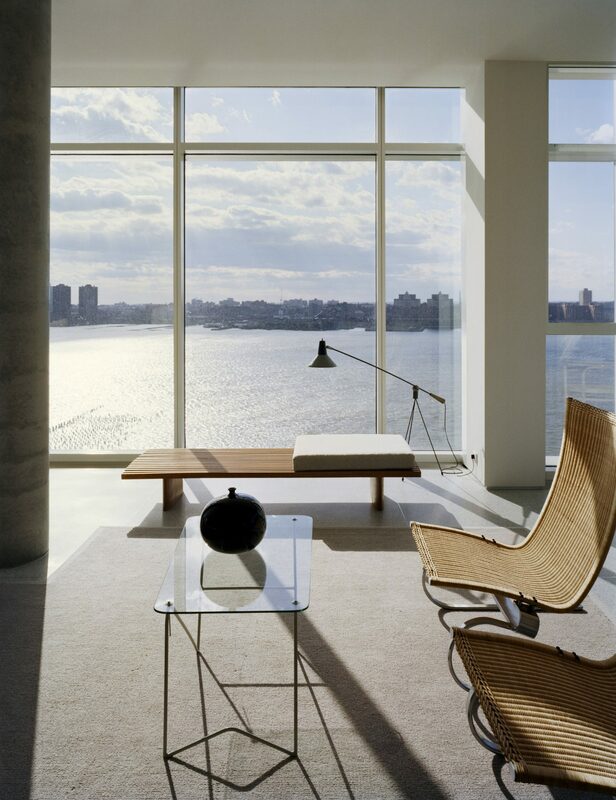 The formula for the terrazzo floor consists of three parts: frozen Hudson River, ice and sky. 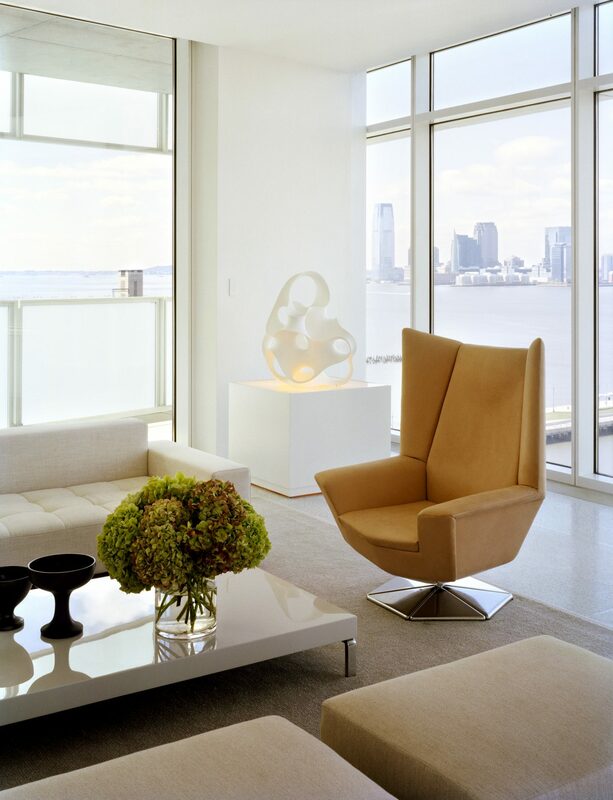 Architecture, interior furnishings, custom rugs, materials, lighting and accessories seamlessly integrate the juxtaposition of Manhattan’s grid and the angled geometry of the Hudson River, while the space itself celebrates the intersection of the two.